Just three nights before WrestleMania, the 867th edition of WWE Thursday Night SmackDown came to you from the Barclays Center in Brooklyn, NY with portions of the show airing live from the site of WrestleMania at the AT&T Stadium in Arlington, TX. 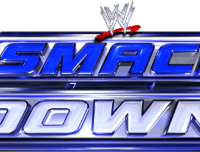 SmackDown would offer a special live look at “The Show of Shows” this Sunday night, but SmackDown would also feature in-ring action as, before he battles “The Beast” Brock Lesnar in a No Holds Barred Street Fight at WrestleMania, Dean Ambrose would be in action on SmackDown as “The Lunatic Fringe” would go one-on-one with The Wyatt Family’s Erick Rowan. Also, before he makes his WrestleMania debut against Chris Jericho this Sunday, “The Phenomenal One” would compete on SmackDown as AJ Styles would face Social Outcast member Heath Slater. AJ Styles def. Heath Slater (with Bo Dallas, Adam Rose, & Curtis Axel) by pin following the Phenomenal Forearm. D-Von Dudley (with Bubba Ray Dudley) def. Jey Uso (with Jimmy Uso) by pin following the RDS. Dean Ambrose def. Erick Rowan by pin following Dirty Deeds.